The BFA students graduating from fine arts and new media studies at the end of the spring semester will be showing their capstone pieces at their final exhibition as students in their undergraduate careers. Divided into two exhibitions for the spring semester, BFA II will be up April 4-14, with a reception starting at 4:30 pm on April 4 and the gallery talk starting at 6 pm. BFA III will be on display April 23 through May 5, with the reception taking place on April 26 at 4:30 pm and gallery talk at 6 pm the same night. Both receptions and gallery talks and visiting the Art Gallery to see the exhibition are free. It’s also a graduation requirement, notes Moore. “It’s the culmination of their degree. It serves them both an academic purpose and a creative purpose for the student,” she says. “I’m especially pleased with the varied INMS (Integrated New Media Studies) concentrations and academic abilities expressed in minors among our students,” says Michael Lasater, professor of mass communication and new media department chair. Student artists will have their written artist statement posted with their work, as a normal gallery exhibition practice. 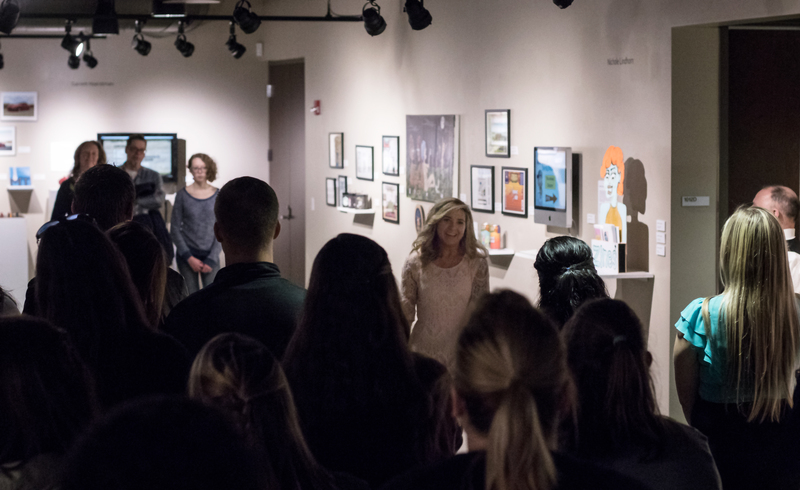 Though the BFA Exhibitions sometimes include more notes on the artists’ journey and background to get to the place they are in as graduating fine arts and new media students. The BFA gallery talk will be opened by Josh Miller, the gallery director at IU South Bend. The faculty of each department that has students showing will then introduce their students, and the artists will give a brief synopsis of what they are showing and their time at IU South Bend working towards their degree. The Art Gallery is located on the first floor of the Education and Arts Building on campus.